Have you ever been duck hunting? Neither had Kaley, until she went with the Cast and Blast Florida crew. In episode #18, Kaley recounts her first duck hunt with tales of too small overalls, low tide, no ducks, and…clowns? In episode #17, we blast into the future and review the factual, made-up headlines of 2018. 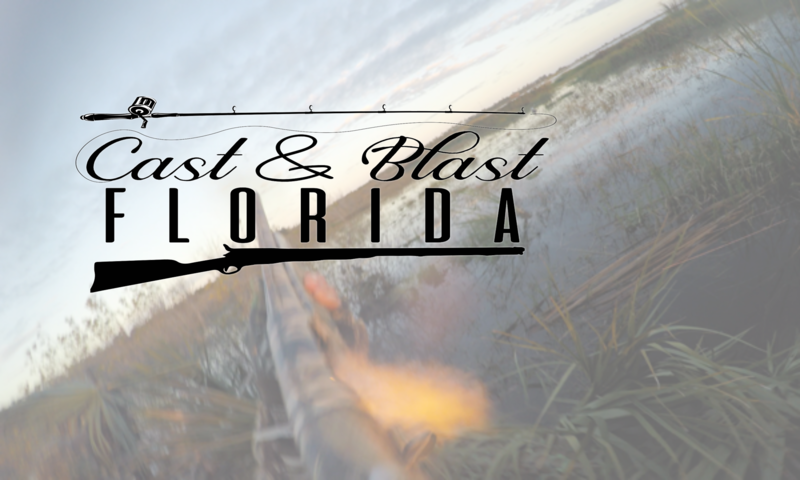 Join us as we discuss Florida Sportsman Magazine’s prize winning headlines, President Trump’s ban on a popular hunting item, and Facebook’s takedown of duck hunting groups. The Shark Dragging Video. We won’t link to it as we don’t want to promote the behavior. You’ve seen it. It’s terrible. Those guys got charged and we have feelings. Our First Giveaway!! – follow us on Instagram for details and a chance to win a youth hunt! This week we discuss what we want to eat for Christmas, and wild game cooking do’s and don’ts with our guest, The Hungry Hunter, Chris Lueddeke. You can also find Chris on Instagram @the_hungry_hunter. This week, Ty and Wyler from Florida Fishing Products are back again! This week, Ty and Wyler from Florida Fishing Products join us as we draft what we want for Christmas 2017. Special thanks to our friends of the show for recording with us! Release: Social Media “Where are the ducks?” posts. In this week’s episode, we take a tongue and cheek look at things duck hunters love: go-pro’s, duck calls, blind bags, heavy shot, limiting out, sky blasting, and more! Want to book a duck hunt or fishing charter? In this week’s episode we discuss the terms in our Hunting SubUrban Dictionary. For this week’s HALLOWEEN Episode, Rob Chapman of outdoors360.com joins us to discuss the scariest thing we can think of…social media. We also feature Rob’s daughters for the 2 Minute Will Segment where we discuss favorite Halloween Candies and Costumes. To learn more about Rob, click here.